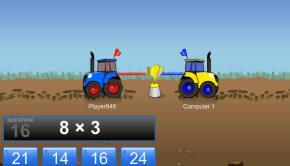 Equivalent Fractions Bingo is a fun interactive game created by ABCYa for students to practice and develop their understanding of equivalent fractions. Students are shown a fraction and they then need to click on an equivalent fraction, ie one of the same value. 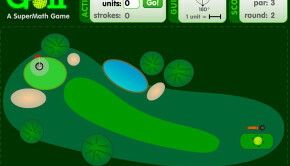 The game is aimed at children in grades 3-5 but will be suitable for some children in other age groups too. There are two levels in this game. 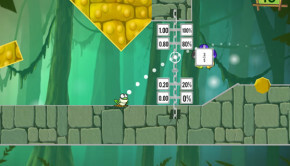 On the easy level the player is shown a pie charts representing each fraction in addition to the written fraction. On the harder level these pie charts are not shown unless the player gets an answer wrong. Click on the picture above to build your equivalent fractions skills by playing the cool Mathematics game ‘Equivalent Fractions Bingo’. Click here to download the printable worksheet on equivalent fractions to use alongside this cool Mathematics game. 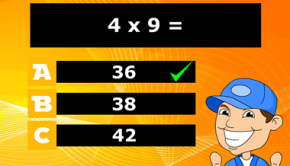 A useful game for practicing equivalane fractions. Having two levels certainly makes it more useful as many children will find it easy to just match up the amount of area shaded in the pie charts without really taking into account what the fractions are in terms of numbers. Though presented in a nice colourful way, there is not too much of a game element to it which is a shame as that would have helped to maintain student attention for longer. Summary: What did you think of 'Equivalent Fractions Bingo'? Please give it a rating.